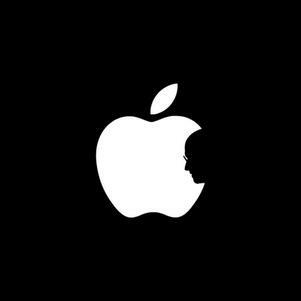 Today, I opened my inbox to several messages memorializing Steve Jobs due to his passing last night. Of all of the emails I read, there was one that stood out and really touched my soul. It was from Cari Vollmer (www.passiontoprofit.com). Cari managed to take the essence of Steve Jobs’ message and make it personal for all of us. I’ve decided to share Cari’s message with all of you so that you can be inspired to take action and follow your dreams – starting today. The email started with a quote from Steve Jobs that was made infamous in an Apple commercial encouraging everyone to “Think Different”. From there, Cari provided a message that encourages us all to step into our dreams and heed our callings – just as Steve Jobs did. Maybe they have to be crazy. How else can you stare at an empty canvas and see a workof art? I want you to know that I understand what you’re going through right now. Coming face-to-face with the opportunity to finally STEP INTO your dream can be quite daunting. You absolutely have what it takes to make this commitment and GO BIG the way your spirit is nudging you to do. I know there are times you’re afraid. We’re all afraid. I bet there were times even Steve Jobs was afraid. you’re really cut out for your dream in the first place. Let me remind you: You are. And as soon as you say YES to acting on it you’ll start seeing just how RIGHT you are to have the dream you have and you’ll also start discovering just how absolutely perfect you are to be the person to have this dream. So my nudge to you right now is to get yourself over this hump. Say YES to your dream…LIVE INTO your dream…and know I’m here cheering you on and walking beside you. You can do it. You have what it takes. You are ENOUGH, as is, to be the empowering and inspiring expert/speaker/teacher/messenger/coach/healer/writer/artist/whatever you imagine yourself to be…that you’re being CALLED to be. I hope you believe that too. Passion Into Profit Mentor Cari Vollmer teaches individuals around the world how to turn their passion for helping people into a profitable business. Get her FREE Success Kit and articles at www.PassionIntoProfit.com. What an awesome email to get and exactly the message I need to hear! I’m almost in tears reading this. Truly inspirational and definitely taking it to heart. I welcome the craziness of entrepreneurship! Tears…. I NEEDED to hear this message tonight. Thanks for sharing this with us. I agree. We could never tell what will happen in the future to those who we think are useless today. We always have chances to step into our dreams. It’s not to late!